Konga, founded in 2012, is one of the largest general merchandise marketplaces in Nigeria and ranks as one of the top ten websites in the country. From the data on the investor’s report, it seems Konga is worth only $34 million. This is indeed troubling for all the noise, Konga is just valued at $34 million only. Its major competitor, Jumia, has the parent valued close to $1 billion. Konga has raised nearly $78 million and it has a valuation of $34 million which means that the company is seriously under-performing. E-commerce is not a great business in Africa and will take time to be profitable. The same trajectory shown by Konga is similar to what Jumia has recorded – lots of losses. 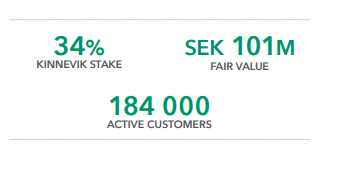 Hope you saw that Konga has only 184,000 active customers. That is in a country of 173 million people. It does not look really good.